This entry was posted in Reasons to check under the bed... by onlakevictoria. Bookmark the permalink. 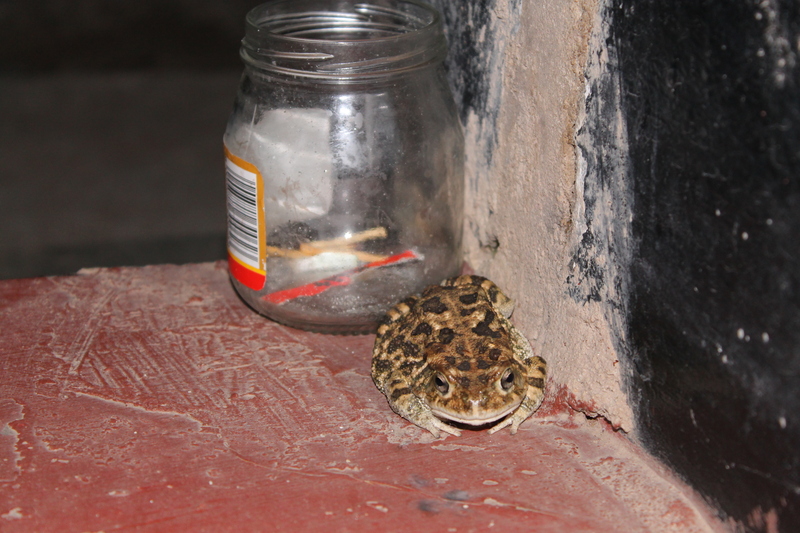 I’m afraid from checking this out for you it’s just the bog standard African Toad…..your region and Tanzania did find a new toad though ‘nectophrynoides’ ugly lumpy looking toads which differ from the regular toad as they bear live young (as opposed to eggs or spawn as we know it)…..interesting if you look out for those….all horny and bumpy with what looks like blisters at it’s head and joints….mwah mwah!!! Hi Kirsty! It was so much fun going through your blogs. Please keep writing. It makes me feel like I still have an inside connection to the baby home. Also, I tried to email you along with some other volunteers but I must have written your email down incorrectly. Could you send it to me please? Thank you!